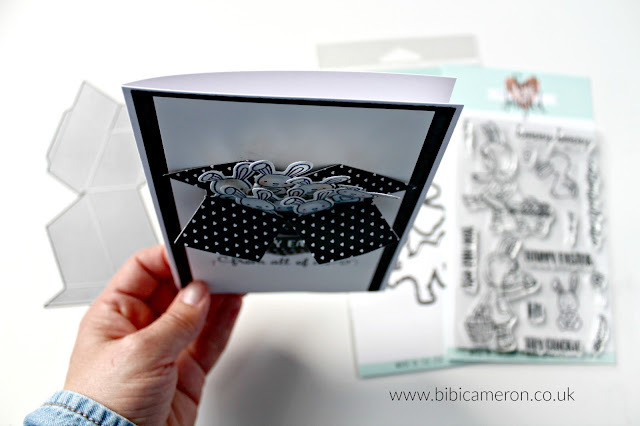 Welcome to the Stampin Friends Blog Hop! I have the honour of being Guest Designer this month to share creativity with this huge group of crafters for second time! We are making projects in black and white with one accent colour . Currently you’re visiting Bibi Cameron in the Scottish Highlands and you can continue hopping by clicking on the "Next" button down below, you will be landing at Andrea Tracy-Tucker blog in the far eastern plains of Colorado - USA. 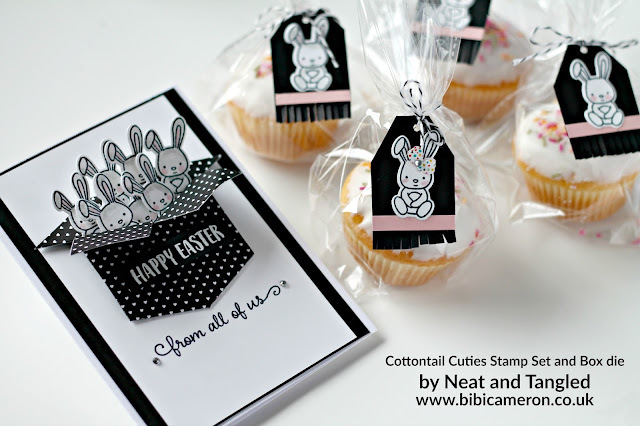 Ok so I made Easter projects today and I used Cottontail Cutie Stamp Set and Dies + "Box Die" by Neat and Tangled with basics Stampin' Up! supplies. I absolutely love the stamps.. they are stinkin cute and the "Box Die" is a winner! it is extremely easy to use and it will allow you to add an incredible 3D element to any occasion card. Inside the box you can fit any of your favorite images, a gift card or money.. It folds flat for postage and coordinates with "Out of the Box stamp set"...how cool is that? This is a A6 card. The assembled box measures 2.5"x 2-3/4" (6,5 x 7cm) approx . Blushing Bride ink( soft pink) by Stampin' Up! was my accent colour and I guess Smoky Slate ink I used to paint the bunnies doesn't count as black +white = ? .... You know the answer! I stamped the images on Whisper White cardstock using Memento black ink and using blender pens I easily got the ink from the ink pads and I applied it quickly on the bunnies. I the Stampin' Up! Big shot with Neat and Tangled dies and it work like butter. I made easy tags and I used my Finge Scissors by Stampin' Up! t to add a bit of extra detail. Enjoy the hop... click "Next"to follow along on the blog. I also made a 2 minutes video to show how to use the Box Die by Neat and Tangled. That's all! I hope you enjoy the projects today and do not hesitate to ask any question or leave a comment. I would love to heard from you. I have listed below the main supplies used in this post by Neat and Tangled . Although this company is based in USA they deliver worldwide for a very small fee and you get your products beautifully packaged in a flash! I joined their affiliate program which means that when you buy through the links below I receive a small commission at no extra cost to you. I truly appreciate your support. Bibi! This is way to cute! I LOVE that card. Om my. Great job! Absolutely adorable! 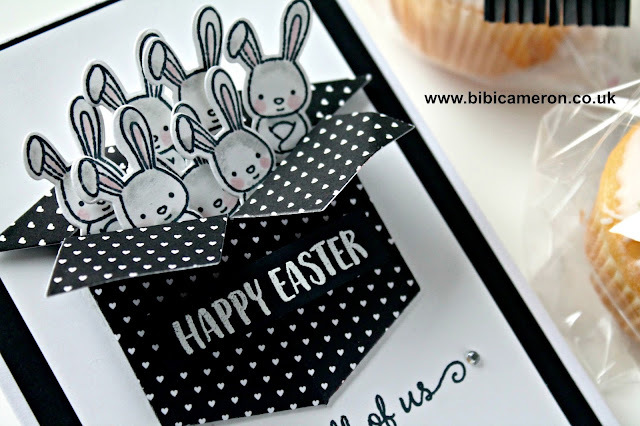 I need to start thinking about Easter projects, thanks for the inspiration and thanks for joining us on the hop Bibi! So stinkin' cute. Thanks for joining us this month. Cute cute cute :) Thanks for sharing! Cute bunnies! Thanks for hopping with us! Just adorable! Great Easter card! Absolutely adorable! 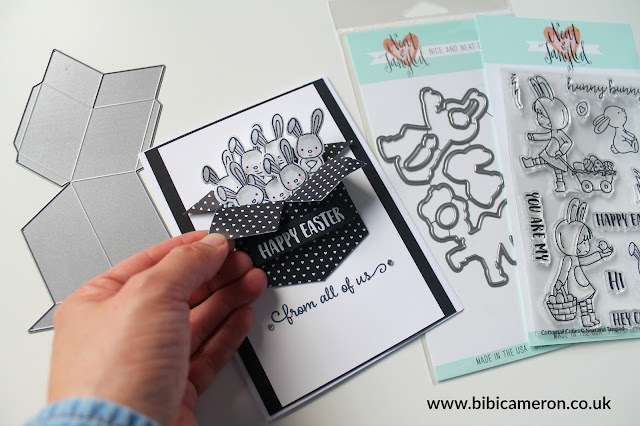 Love the box of bunnies card and all the cute tags! Such wonderful projects so cute and adorable! Adorable box of bunnies! Thanks for joining us this month. Love the rabbits coming out of the box. So many adorable bunnies Bibi! My favorites are the cuties on the cupcakes! This is the absolute cutest card ever!! 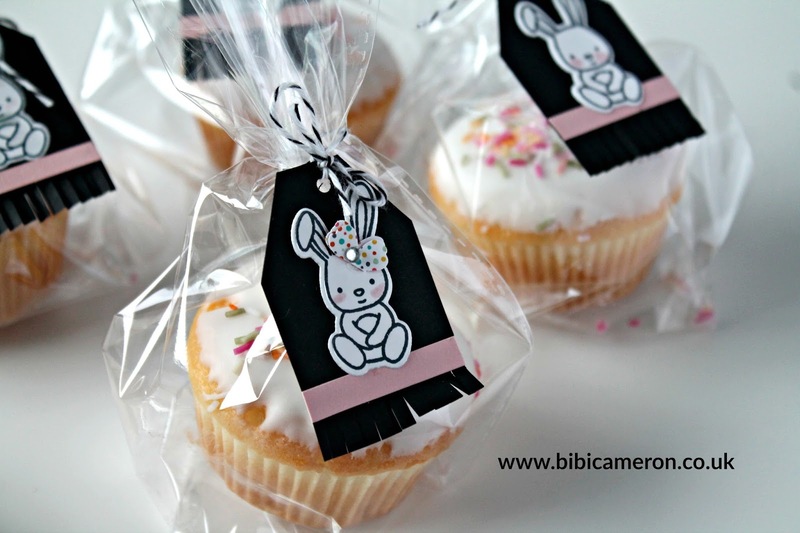 Thank you and I love the bunny cupcake bags too!